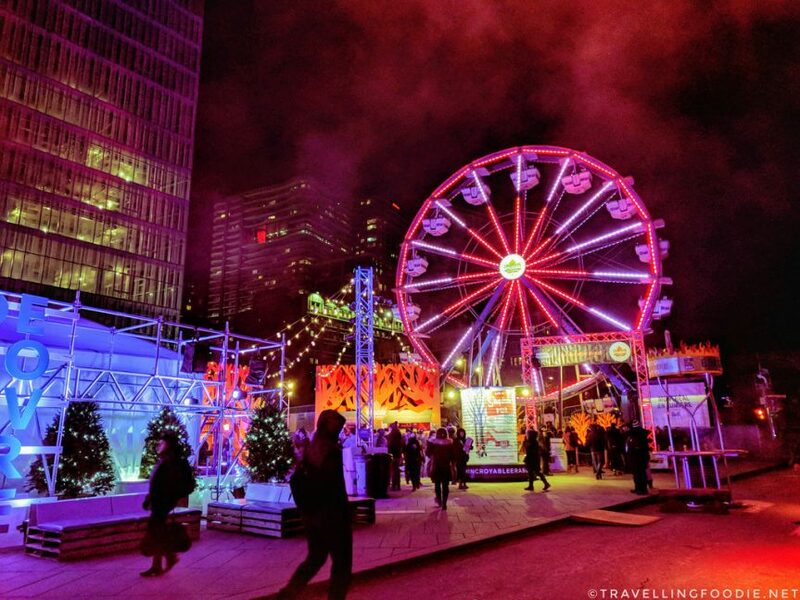 Located in Downtown Montreal, Montréal en Lumière, or Montreal’s Festival of Lights, took place from February 22 to March 4, 2018. This annual celebration is one of the largest winter festivals in the world! Did you know? There are over one million attendees for this festival. This was my first time attending the festival, and I’m pretty sure it won’t be the last. I was there from February 22-24, which gave me a good taste of the festival but it definitely wasn’t enough. 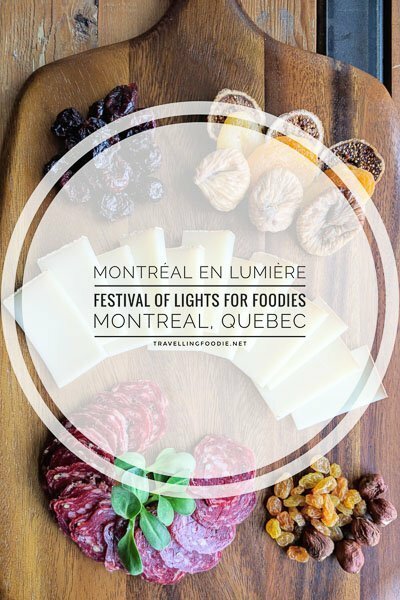 There are so many things to do during Montreal en Lumiere! The heart of the festival is the Free Outdoor Site which is accessible at street level or the Place-des-Arts Metro station. The site has lots of cool activities including zip-line, urban slide and Ferris wheel. And they’re all free! I highly recommend to visit the site at night because that’s when everything comes to life with all the lights and sounds. 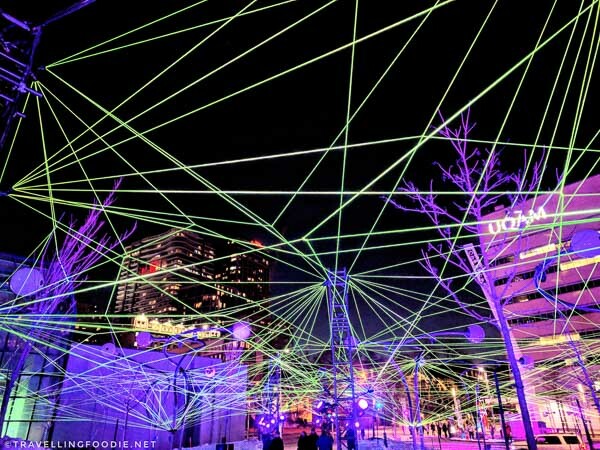 On-site and nearby, you’ll get to experience Illuminart, a circuit of 13 projects fusing art, lighting and technology. This brings the Festival of Lights to a whole new level! Apparatus Florius by Tom Dekyvere. Located in Montréal’s Place des Arts, the structure symbolizes the instinctive flow of a plant, taking over the city in search of light. The work questions the balance between the human adaptation and digitalization of our natural environment. The outdoor site is not all there is about Montreal en Lumiere. 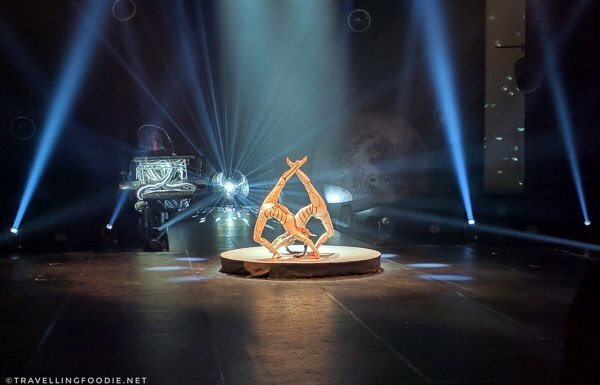 There are a variety of shows and concerts happening during the festival including circus, dance, theatre and classical music. Happening on the last night of Montreal en Lumiere is Nuit Blanche, the best-attended single-day event in Montréal every year. I was most surprised in learning that the festival is also perfect for foodies. The gastronomy program during the festival is impressive with over 500 chefs, wine producers and speakers taking part in workshops, tasting and conferences. Overseas chefs come to the festival to collaborate with local chefs on a unique menu specifically for the festival. 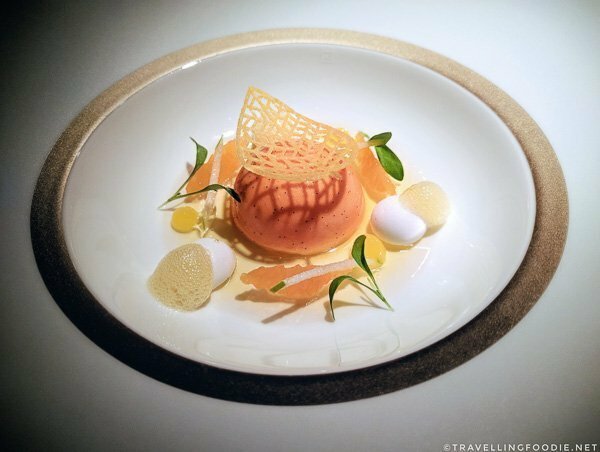 These are the gastronomy programs I got to experience, and they are but a sliver of what’s offered during Montreal en Lumiere. 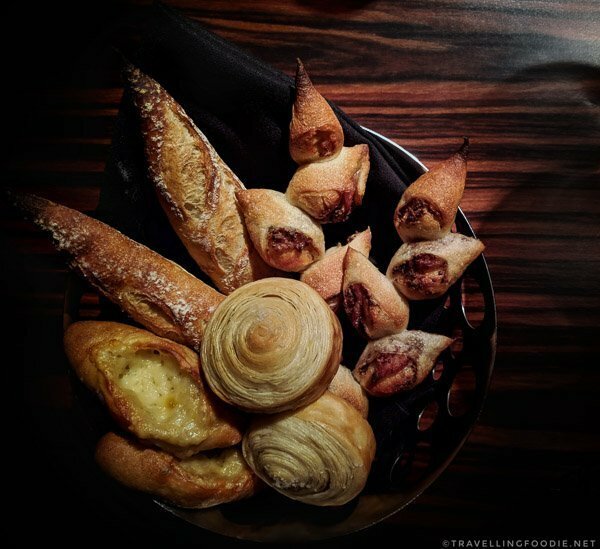 Black Truffle Brunch at Brasserie T! 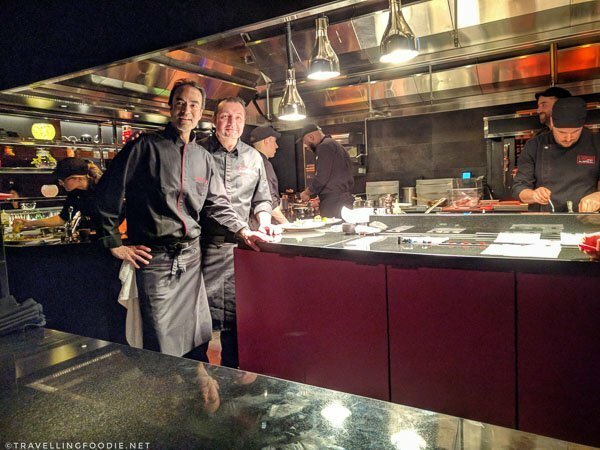 Canada’s first Joel Robuchon restaurant is L’Atelier de Joel Robuchon in Casino Montreal. After loving the experience in the Las Vegas location, I was looking forward to the dinner here the most. 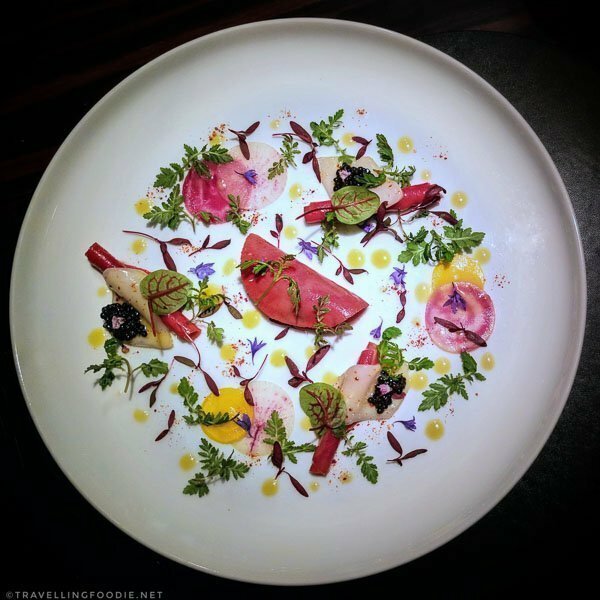 For Montreal en Lumiere, L’Atelier de Joël Robuchon hosted Chef Alain Verzeroli, from Joel Robuchon Restaurant in Tokyo, to conceive a 7-course tasting menu with wine pairing ($300) with Executive Chef Eric Gonzalez. The dinner was reminiscent of what I loved about my experience in Las Vegas. The dishes were well-executed, inventive and beautifully presented! 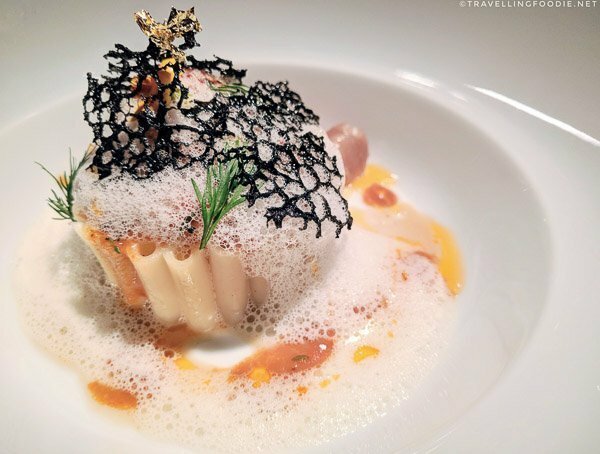 This scallop and caviar dish truly feels like an artwork that should be framed! 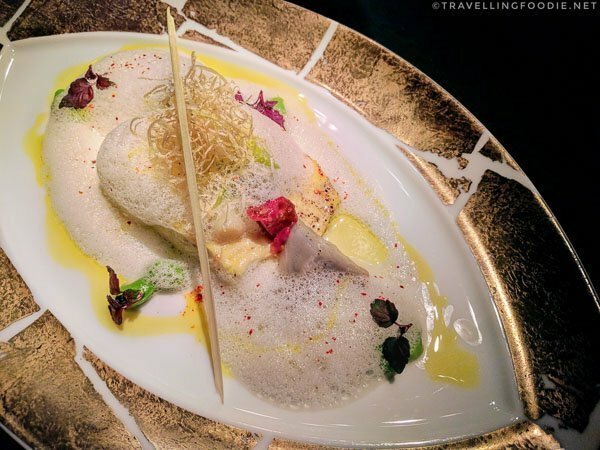 The taste itself is one for the taste buds with the hint of citrus from the carpaccio, salt from the caviar, and the contrasting creaminess of the scallop with caviar and the crunchiness of the radish. The lobster macaroni dish was a playful one with the lobster chunks being inside a wall of macaroni timbale. The most mind-blowing dish that night was the Halibut filet. It looks so simple but the flavour is one you don’t expect at all. The addition of the key ingredient, turmeric, to the lemongrass cream created a totally new flavour profile. Opposite to the simple looking halibut was the Bison dish with foie gras and truffle. Though you can’t really taste the black truffle, all was forgotten with the bold flavours coming from this dish. Desserts came after this with the orange dessert being a great palate cleanser for the rich chocolate dessert to end the dinner. 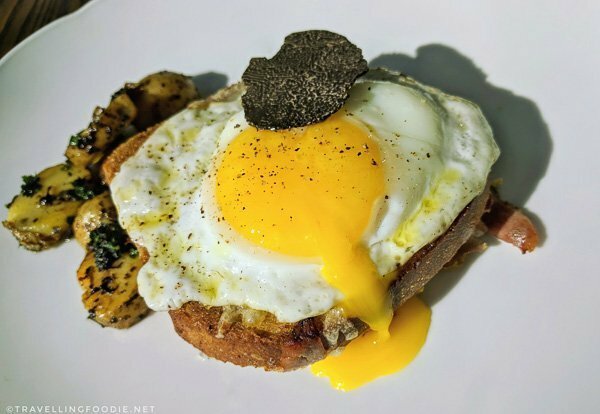 Winter Brunch with Black Truffles at Brasserie T! 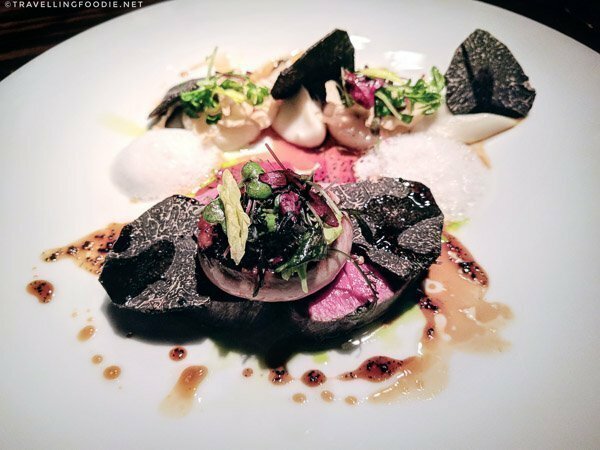 Black truffle is usually something that catches my attention in menus. So when I saw a program called Winter Brunch with Black Truffles, I definitely wanted to check it out. Located at the Outdoor Site, Brasserie T! 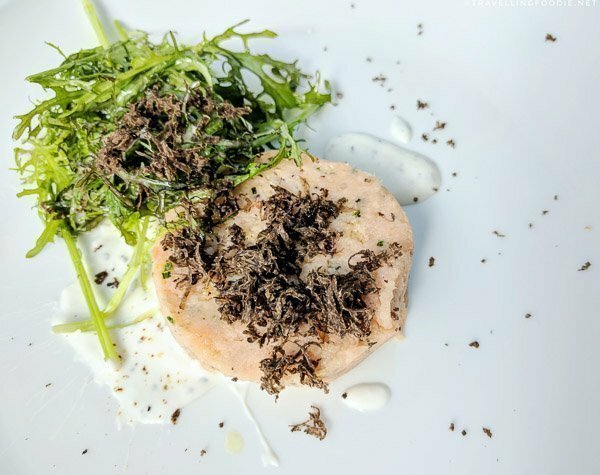 has a two-course winter brunch menu for Montreal en Luimiere, featuring black truffles from the Drôme region in France. Did you know? Chef Normand Laprise is the owner and head chef of Toqué! and Brasserie T! For $38, you get a choice of appetizer and main dish. Choices for appetizers were venison terrine, scrambled eggs and salmon rillettes. 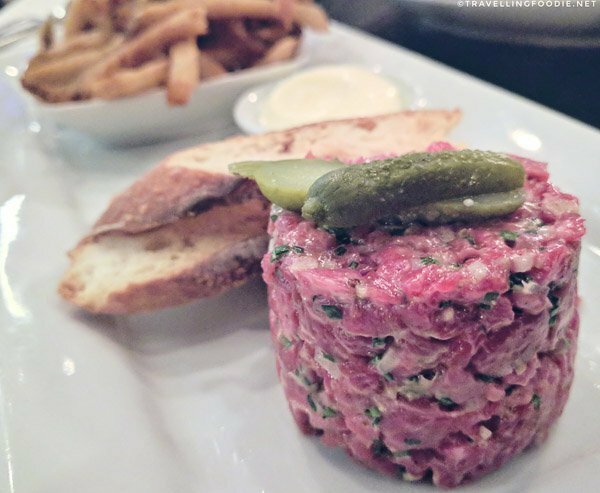 Rillettes are meats slow-cooked long in their own fat. 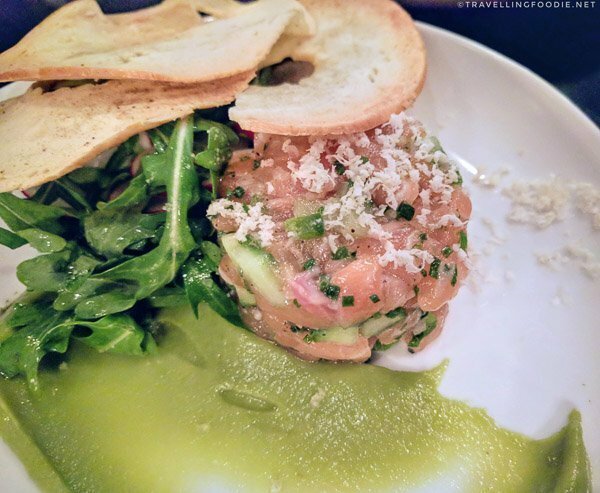 I definitely wanted to try salmon rillettes, which I haven’t had before. It was such a treat especially with the strong tasting truffles that I was looking for. Choices for main dishes were mushroom omelette, croque madame and french toast + fruit. Since I’m in Montreal, I’m definitely trying a French brunch item so I got the croque madame. Did you know? The sandwich is called croque madame because the egg on top is said to resemble a woman’s hat. The bechemel sauce was outstanding. 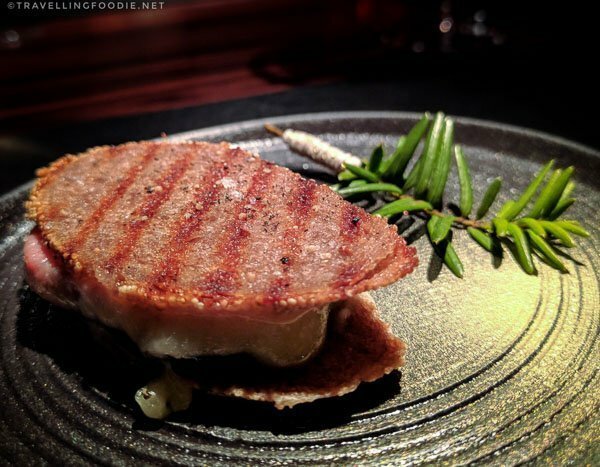 I was kind of hoping the black truffles were used to enhance the sandwich, but instead they were on the potatoes except for the one slice on top. Travelling Foodie Tip: Take the fine shaved black truffles from the potatoes, mix them with the bechemel sauce, and thank me after! Le Blumenthal is another option for fine dining at the Outdoor Site. It’s located behind the zip-line on a century-old building, which used to be called Blumenthal before becoming the Maison du Festival (House of the Festival), the headquarters for Festival International de Jazz de Montréal (Montreal International Jazz Festival). 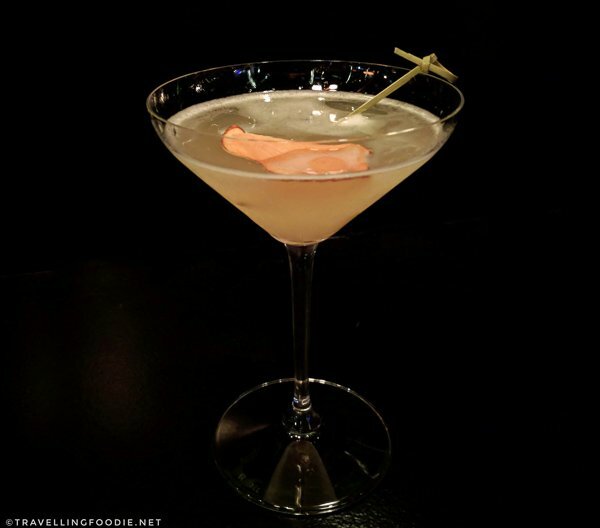 Start off with their signature cocktail, Martini Blumenthal, which is one of those drinks you’ll want to keep drinking because you don’t feel like you’re drinking alcohol. 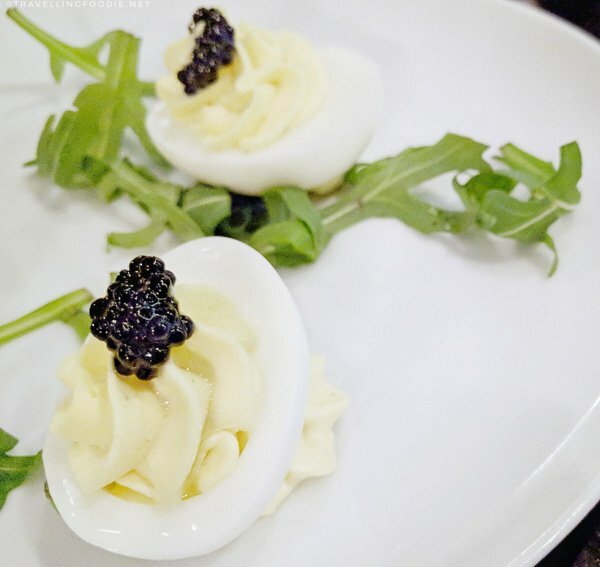 It was my first time seeing deviled eggs with caviar so I definitely wanted to try it. A must-order here is the salmon tartare which was very fresh. I love that they provided thin bagel chips instead to add a nice crunch to the dish without taking from the salmon. Everyone will have something to eat here: vegetarian (squash, burger), fish (trout, macherel), shellfish (mussels), poultry (duck, cornish hen), beef (steak and burger) and game (rabbit). 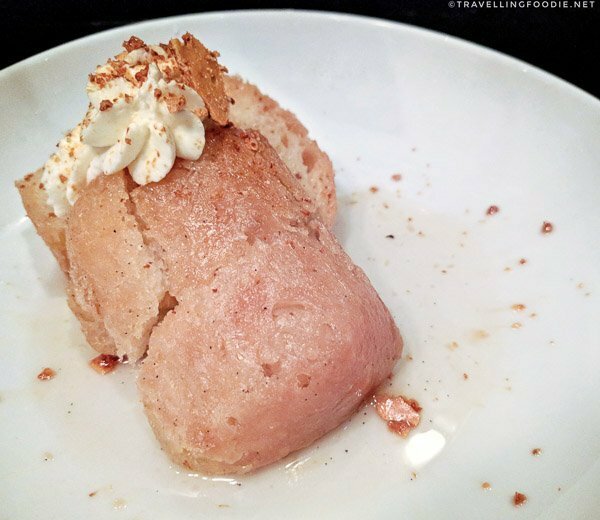 For dessert, I tried the Rum baba which was one of the better ones I had. The cake was both moist and wet but still having the spongy cake texture. You can also taste both the toffee and rum in the syrup. Though the Knowledge Conference took place after my visit, I had the opportunity to meet and learn from Michael Bom Frøst of Nordic Food Lab about combining scientific and humanist approaches with culinary techniques. Michael wants to disseminate their ideology and philosophy on how people should interact with and develop food in the future. Their goal is to use deliciousness as a lever for changing the way people interact with food. In this way, there is a much better chance of making substantial change in the world into a more sustainable way than using the argument of doing something because it’s good for the planet or good for your health. They believe that if they develop new food that appeals to the three levels (sensory, functional and nutritional), then they would have created food that is powerful enough to convince people to change. Michael also talked about the Omnivores Dilemma where people love to try new food, but are also afraid to try them. Whenever they approach making new food, they demonstrate some of the ideas on how they work, and they try to balance it with principles of novelty and familiarity. This creates something that’s both stimulating and interesting, which would make people want to try the food without being intimidated by the novelty of it because there’s a familiar element to it. They do this by using Taste as an entry point for learning with lessons designed so people can see what goes on with the cooking, and there is interaction with the food and people. 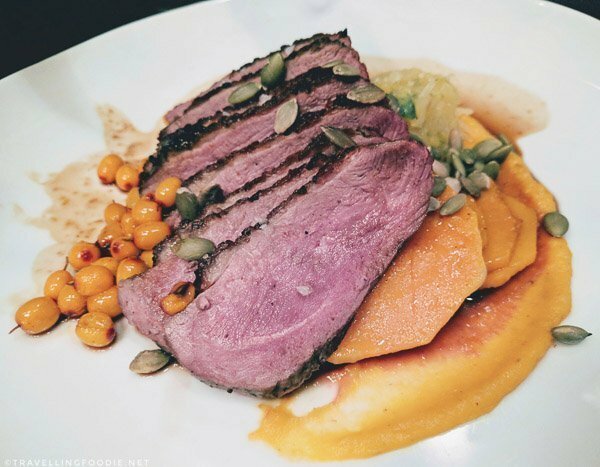 Their ultimate goal is to reduce animal consumption, or animal protein, by increasing deliciousness in a sustainable way using existing local resources. You can learn more about Nordic Food Lab here. While you’re at the outdoor site, you can opt out of traditional restaurants like Brasserie T! and Blumenthal. 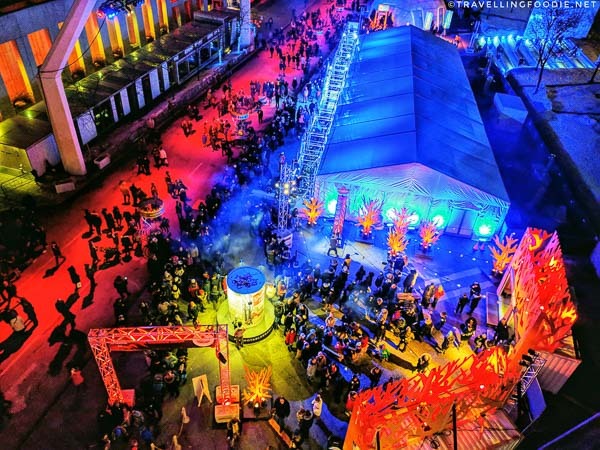 There is one unique sit-down restaurant on-site specifically setup for Montreal en Lumiere. 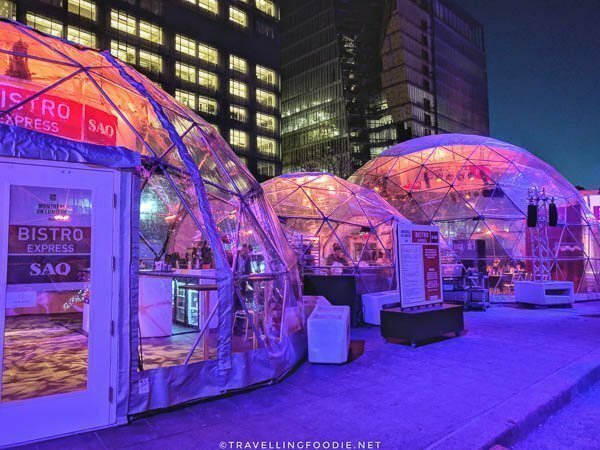 This is the SAQ Bistro which you won’t miss because the venue is made of three cool looking igloo tents. There is also a variety of on-site food vendors. You can’t miss the World of Incredible Maple area because that’s where the Ferris wheel is. Here you’ll get to discover, rediscover, Quebec Maple‘s range of culinary uses as you try various treats from maple syrup snow candy and maple glazed nuts, to savoury items like maple butternut squash soup. One interesting I learned from Nathalie Langlois, Federation of Québec Maple Syrup Producers (FPAQ) Director of Promotion, Innovation and Market Development, is that there are four distinct grades of maple syrup based on the degree of light that can pass through: Golden, Amber, Dark and Very Dark. There are also food truck-type vendors including Beavertails, Grilled Cheese, and Greg’s Diner. 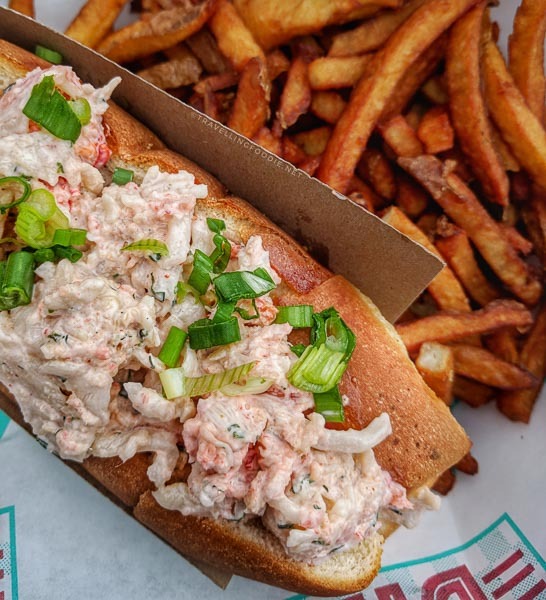 I had the lobster roll at Greg’s Diner and was actually surprised how good it was coming from a food truck. Huge thanks to Montreal En Lumiere for hosting this trip. As usual, reviews and opinions are entirely my own. You can learn more about Montreal En Lumiere thru their website, or find them in Facebook, Twitter and Instagram. 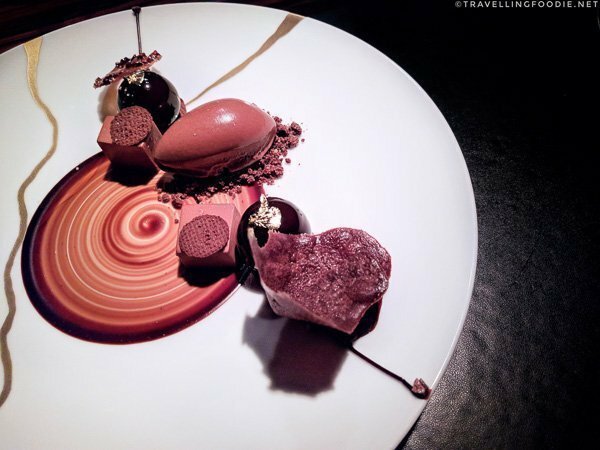 Posted on March 2, 2018 January 1, 2019 by Travelling FoodiePosted in Canada, Food, Montreal, Quebec, TravelTagged activities, entertainment, events, people, restaurants. Love all of these images! Such an insightful post. Will definitely need to add this festival to places to check out.